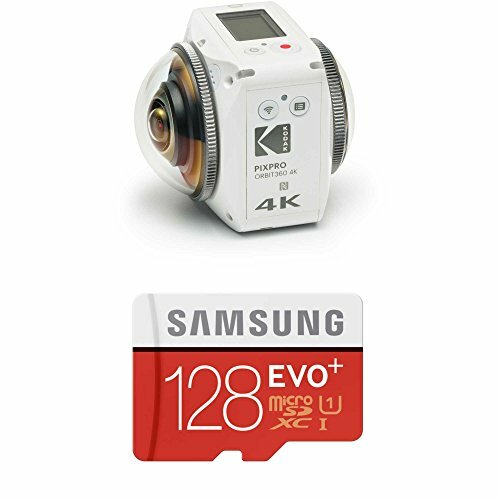 The KODAK PIXPRO Orbit360 4K VR Camera Adventure Pack is designed to make your 360 degree experience smooth and easy as possible. Prepare to marvel at the seamless amount of detail, clarity and precision this compact VR camera provides, which easily fits in the palm of your hand. Add the flexibility of KODAK's free mobile app for iOS and Android and you’ve only scratched the surface of what this portable 360 degree VR camera can do. The KODAK PIXPRO Orbit360 4K VR Camera is about to change your world. This portable powerhouse is easy to use to capture glorious 360 degree photos and videos, stitch within the camera automatically and share on the go. Prepare to leap into the world of 360 degree interactive photos and videos and capture everything you love to do with ease. If you have any questions about this product by Focus Camera, contact us by completing and submitting the form below. If you are looking for a specif part number, please include it with your message.